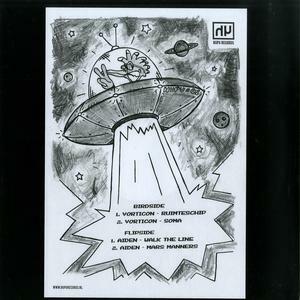 The First Release of the new label Hupu Records is on one side an adventure from spacey italo disco to wavey electronica by Vorticon. The other side it s label founder Aiden who brings a odd country infused techno track accompanied with a dreamy synth tune carried by a heavy bassline. Limited handstamped vinyls with cool insert.